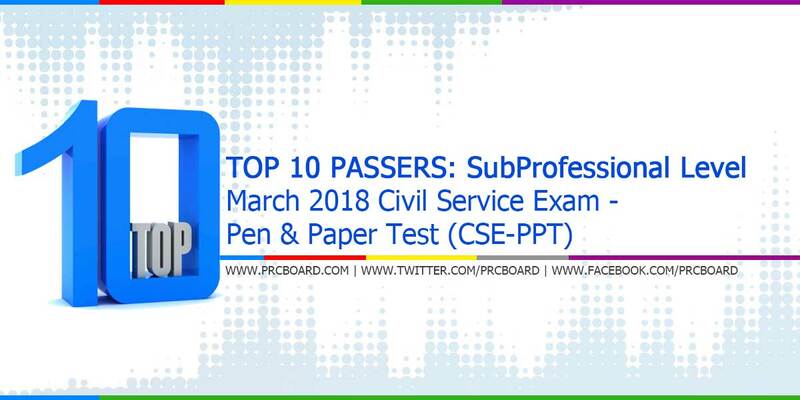 The ‘March 2018 Civil Service Exam - Pen & Paper Test (CSE-PPT) exam results’, conducted by the Civil Service Commission (CSC) are released within sixty (60) days after the day of eligibility examinations. Aside from the official list of passers, top 9 examinees both for professional and subprofessional levels are also posted. Below is the list of top examinees for subprofessional level courtesy of CSC. Kailan po iyong sa Top 10? When po yung scores each examinee?